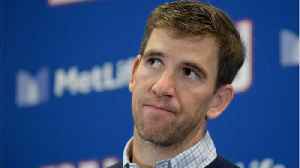 When Eli Manning turns to his brother Peyton, it's not for advice on dealing publicly with losing, or mechanical issues, or even how to handle unflattering comments from teammates (as if anyone ever spoke out about Peyton the way Odell Beckham Jr. did about Eli). No, when the Brothers Manning chat about the 2018 season, they usually fall back to one topic. 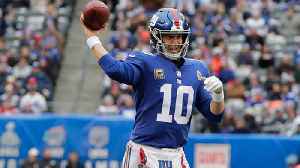 It's clear to Marcellus Wiley that the New York Giants' biggest problem on offense is Eli Manning, and the resistance to a change at quarterback makes the issue even worse. 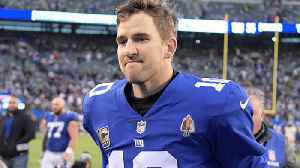 Ohio State Buckeyes quarterback Dwayne Haskins discusses the possibility of backing up New York Giants quarterback Eli Manning. 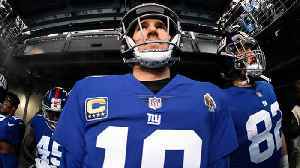 New York Giants roster reset: What's the plan for quarterback Eli Manning? 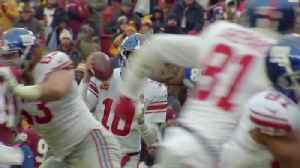 NFL Network's Mike Garafolo explains the New York Giants are completely behind quarterback Eli Manning. 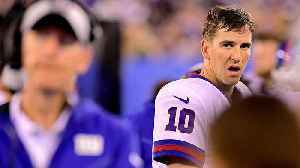 Are the Giants Giving Eli Manning Too Much Respect? New York Giants general Manager Dave Gettleman believes the storyline around Eli Manning being overpaid is a "crock." 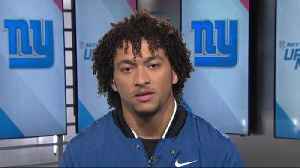 With the Giants showing faith in their QB, as well as trading away Odell Beckham..
Around the NFL crew debates New York Giants' decision to prioritize Eli Manning over Odell Beckham Jr.
NFL Network's Steve Wyche, Michael Silver, Judy Battista and Marc Ross discuss whether the New York Giants should draft quarterback Eli Manning's successor in the 2019 NFL Draft.